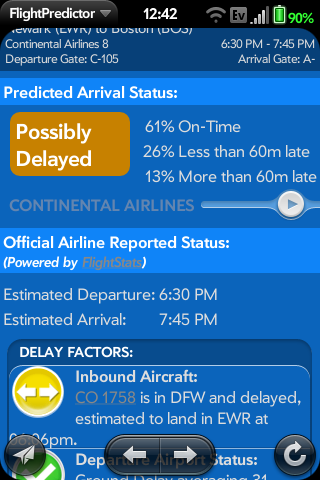 FlightPredictor is a great way to find out ahead of time if your flight is going to be delayed. 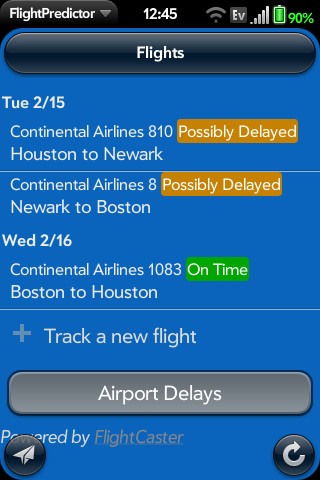 Powered by FlightCaster, FlightPredictor offers the convenience of WebOS notifications so you can always know whether your flight is likely delayed. Note that FlightPredictor only works with US domestic flights for now. Watch a video walkthrough of FlightPredictor, or chat on the discussion forum! 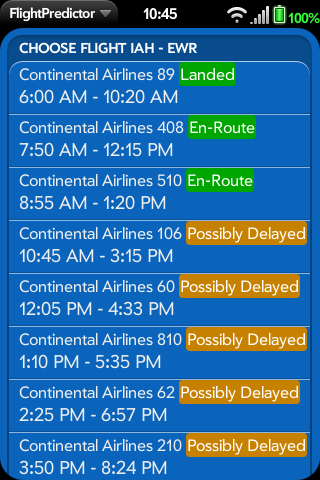 Uses advanced machine learning techniques from FlightCaster to detect probably delayed flights hours before the airlines tell you! 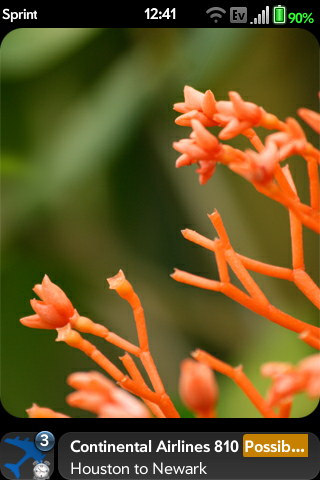 WebOS notifications mean you'll always have the latest data at your fingertips. Easily view the factors used in the prediction, such as inbound aircraft status, FAA ground stops, and weather at the origin and destination airports. 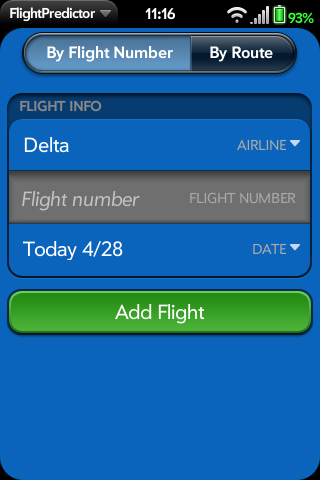 1.4.0 - easily send upcoming flight info via email or text message/IM.